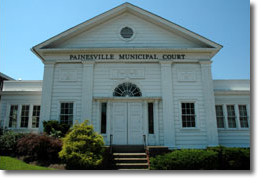 The Painesville Municipal Court will be a leader among Ohio Municipal Courts in the provision of justice, innovative programming, financial efficiency, service to people and protection of the public’s safety. The Painesville Municipal Court will provide timely, fair and cost effective disposition of all matters properly presented to the court. The court staff will serve the public and foster a friendly accessible environment, treating individuals with dignity, respect, honesty and fairness.